The native form of this personal name is Bálint Mihály. This article uses Western name order when mentioning individuals. Michael Balint (Hungarian: Bálint Mihály, pronounced [ˈbaːlint ˈmihaːj]; 3 December 1896, in Budapest – 31 December 1970, in London) was a Hungarian psychoanalyst who spent most of his adult life in England. He was a proponent of the Object Relations school. Balint was born Mihály Maurice Bergsmann, the son of a practising physician in Budapest. It was against his father's will that he changed his name to Bálint Mihály. He also changed religion, from Judaism to Unitarian Christianity. During World War I Bálint served at the front, first in Russia, then in the Dolomites. He completed his medical studies in Budapest in 1918. On the recommendation of his future wife, Alice Székely-Kovács, Bálint read Sigmund Freud's "Drei Abhandlungen zur Sexualtheorie" (1905) and "Totem und Tabu". He also began attending the lectures of Sándor Ferenczi, who in 1919 became the world's first university professor of psychoanalysis. Bálint married Alice Székely-Kovács and about 1920 the couple moved to Berlin, where Bálint worked in the biochemical laboratory of Otto Heinrich Warburg (1883–1970), who won the Nobel Prize in 1931. His wife worked in a folklore museum. Bálint now worked on his doctorate in biochemistry, while also working half time at the Berlin Institute of psychoanalysis. 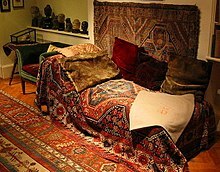 Both he and his wife Alice in this period were educated in psychoanalysis. In 1924 the Bálints returned to Budapest, where he soon assumed a leading role in Hungarian psychoanalysis. During the 1930s the political conditions in Hungary made the teaching of psychotherapy practically impossible, and they emigrated to London in 1938, settling in Manchester, England, in early 1939, where Bálint became Clinical Director of the Child Guidance Clinic. Here Alice died, leaving Bálint with their son John. In 1944 Bálint remarried, but the relationship soon ended, although they were not divorced until 1952. In 1944 his parents, about to be arrested by the Nazis in Hungary, committed suicide. That year Bálint moved from Manchester to London, where he was attached to the Tavistock Clinic and began learning about group work from W.R. Bion; he also obtained the Master of Science degree in psychology. In 1949 Bálint met Enid Flora Eichholz, who worked in the Tavistock Institute of Human Relations with a group of social workers and psychologists on the idea of investigating marital problems. Michael Balint became the leader of this group and together they developed what is now known as the "Balint group": a group of physicians sharing the problems of general practice, focussing on the responses of the doctors to their patients; the first group of practising physicians was established in 1950. Michael and Enid married in 1958. In 1968 Balint became president of the British Psychoanalytical Society. The Michael-Balint-Institut für Psychoanalyse, Psychotherapie und analytische Kinder- und Jugendlichen- Psychotherapie in Hamburg is named for him. Balint 'took an early interest in the mother-infant relationship...a key paper on "Primary Object-Love" dates from 1937'. Thereafter, developing an idea of John Rickman, he argued that 'mental function is quite different, and needs to be described differently, in three-person and two-person relationships, and different in creative activity alone'. Lacan wrote (almost approvingly) that 'Michael Balint has analysed in a thoroughly penetrating way the intricate interaction of theory and technique in the genesis of a new conception of analysis...[using] the catchphrase, borrowed from Rickman, of a "two-body psychology"'. On that basis, Balint thereafter explored the idea of what he called '"the basic fault": this was that there was often the experience in the early two-person relationship that something was wrong or missing, and this carried over into the Oedipal period (age 2–5)'. By 1968, then, Balint had 'distinguished three levels of experience, each with its particular ways of relating, its own ways of thinking, and its own appropriate therapeutic procedures'. 'Psychoanalysis begins at level 3 – the level at which a person is capable of a three-sided experience...primarily the Oedipal problems between self, mother, and father'. By contrast, 'the area of the Basic Fault is characterised by a very peculiar exclusively two-person relationship'; while a 'third area is characterised by the fact that there are no external objects in it' – level number 1. 'Therapeutic failure is attributed by Balint to the analyst's inability to "click in" to the mute needs of the patient who has descended to the level of the basic fault'; and he maintained that 'the basic fault can only be overcome if the patient is allowed to regress to a state of oral dependence on the analyst...and experience a new beginning'. Along with his wife, Enid Balint, and Paul H. Ornstein, Balint developed a process of brief psychotherapy he termed "focal psychotherapy", in which 'one specific problem presented by the patient is chosen as the focus of interpretation'. The therapy was carefully targeted around that key area to avoid (in part) the risk that 'the focal therapy would have degenerated into long-term psychotherapy or psychoanalysis'. Here as a rule interpretation remained 'entirely on the whole-person adult level...it was the intention to reduce the intensity of the feelings in the therapeutic relationship'. In accordance with the thinking of other members of 'what is known as the British independent perspective...such as W. R. D. Fairbairn and D. W. Winnicott', great stress was laid upon the creative role of the patient in focal therapy: 'To our minds, an "independent discovery" by the patient has the greatest dynamic power'. It has been suggested that it was in fact this 'work of Michael Balint and his colleagues which led to time-limited therapies being rediscovered'. 'Michael Balint [as] part of the independent tradition in British psychoanalysis, [was] influential in setting up groups (now known as "Balint groups") for medical doctors to discuss psychodynamic factors in relation to patients'. " Instead of repeating futile investigations of increasing complexity and cost, and then telling these people there was nothing wrong with them, Balint taught active search for causes of anxiety and unhappiness, and treatment by remedial education aiming at insight, rather than tablets aiming at suppression of symptoms." Such seminars provided opportunities for GPs 'to discuss with each other and with him aspects of their work with patients for which they had previously felt ill equipped. Since his death the continuance of this work has been assured by the formation of the Balint Society'. Individual Differences of Behaviour in Early Infancy. Dissertation for Master of Science in Psychology. London, 1945. Primary Love and Psycho-Analytic Technique. 1956. The Doctor, His Patient and the Illness. London: Churchill Livingstone, 1957. German translation: Der Arzt, sein Patient und die Krankheit. Stuttgart, Klett, 1966. German translation: Angstlust und Regression. Stuttgart: Klett-Cotta, 1991. The Clinical Diary of Sándor Ferenczi. Edited by Judith Dupont. Translated by Michael Balint and Nicola Zarday Jackson. First cloth edition, 1988. ^ Julian Tudor Hart (1988). "New Ideas in Old Structures". A New Kind of Doctor. Socialist Health Association. Retrieved 17 May 2014. Franz Sedlak und Gisela Gerber: Beziehung als Therapie Therapie als Beziehung. Michael Balints Beitrag zur heilenden Begegnung. München: Ernst Reinhardt Verlag, 1992, ISBN 3-497-01257-2. Harold Stewart et al. : Michael Balint: Object Relations Pure and Applied. London: Routledge, 1996.